Inter director of sport Piero Ausilio has confirmed his side’s interest in Wolfsburg left-back Ricardo Rodriguez, report Calciomercato. Rodriguez has firmly established himself as one of the best full-backs in the Bundesliga during his time at Wolfsburg. He would walk into virtually every side in the division, bar perhaps Bayern Munich, who are blessed with the services of David Alaba – arguably the best in his position on the planet. 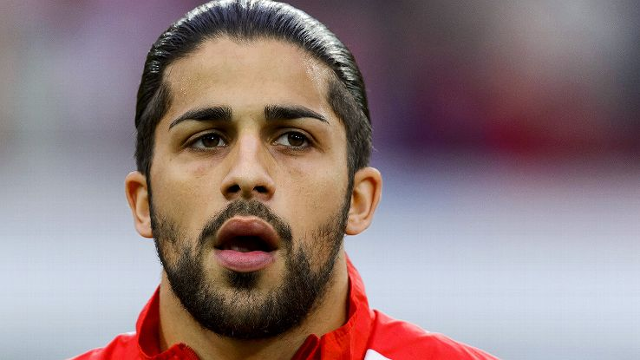 As well as establishing himself as a cornerstone in the defence of his club side, Rodriguez has also made 43 appearances for the Swiss national team. He has appeared in both the World Cup and European Championships for his country. His good performances throughout the past few seasons appear to have caught the eye of one Italian heavyweight. Calciomercato cite Inter director Ausilio, who confirms that his side are interested in securing Rodriguez’s services. However, he insists that Inter are not close to signing the 24-year-old. This is certainly one to keep an eye on as we approach the summer transfer window.